The Target Saver: Target: Buy One Get One 40% off Cat Litter! Target: Buy One Get One 40% off Cat Litter! 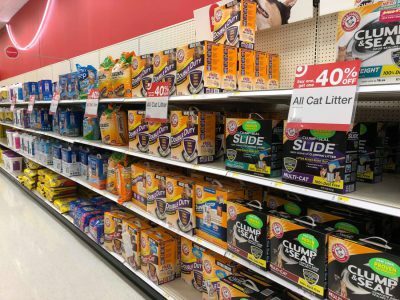 Right now at Target, all brands of cat litter are Buy 1 Get 1 40% off. This promo does not include Tidy Cats. Pay – $13.58 for both boxes. Just $6.79 each! Pay – $23.92 for both boxes. Just $11.96 each! Pay – $15.98 for both boxes. Just $7.99 each! Pay – $11.18 for both. Just $5.59 each!